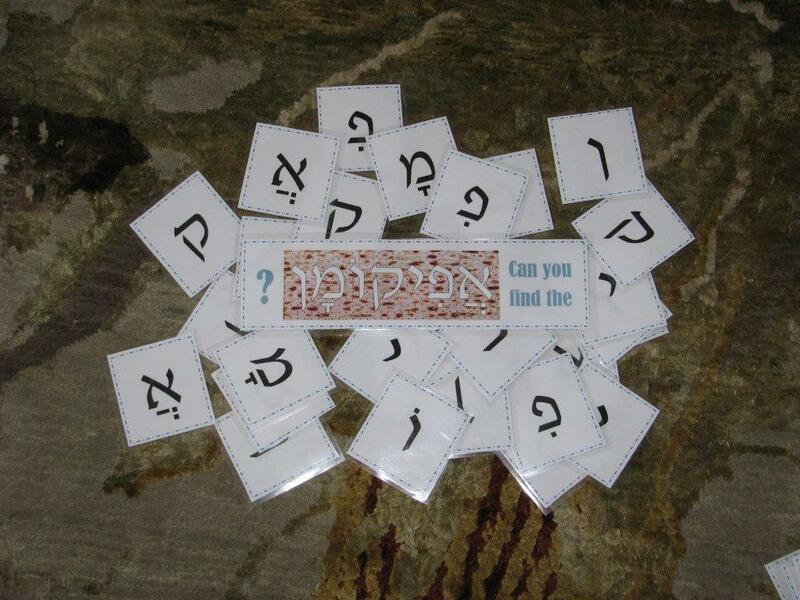 This is a neat game for kids, combining the fun of a treasure hunt with some Hebrew learning! The afikoman is the piece of matzah which is traditionally hidden during the course of the Passover seder for children to find later, and it becomes the last thing to be eaten at that seder. In this game, I printed and laminated copies of each Hebrew letter in the word “afikoman” (which curiously enough is actually derived from a Greek word), and the full word. I made a set for each team taking part and hid the letters around the yard. Quick, easy, and with a big enough yard, quite good exercise too. You can download my copy of the Afikoman hunt cards here. Happy hunting! This past week, I designed a little Jewish card game/board game for my daughter (aged 4). 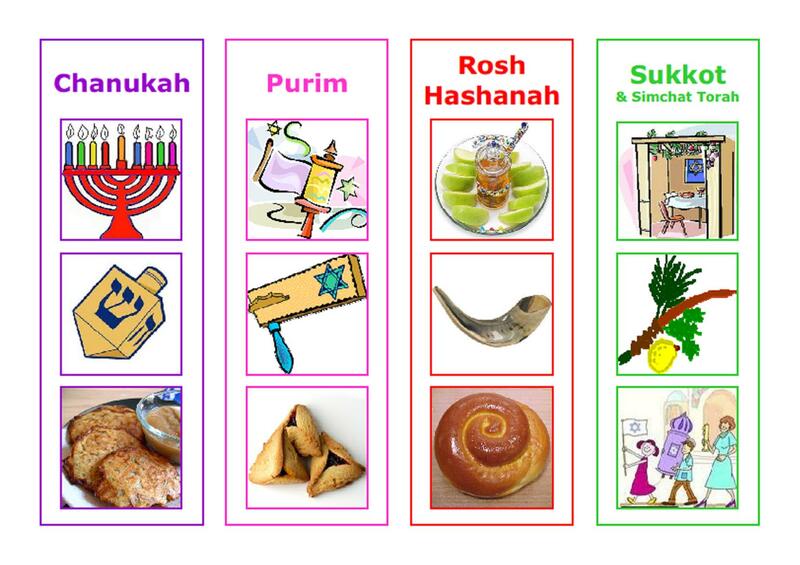 In it, you need to match 3 pictures to each of a selection of Jewish holidays. For example, Shabbat is represented by candles, a kiddush cup and challah; Chanukah has a menorah, dreidel and latkes; Pesach has a seder plate, the plagues and matzah; and Yom Ha’atzmaut has an Israeli flag, a map of Israel and some Israeli dancers. I found this game to be a fun way to review a lot of the festivals, identify some key symbols and talk about what we do, what we eat and so forth. Please feel free to use it yourself. The instructions are included on the pdf. I suggested putting the pieces into boxes or bags during the game, but I’ve thought of another way to do it (especially for older children) – put all the pieces face down in the middle, and turn over two at a time as you would if playing Memory. If either matches your card, move them to your card. If not, turn face down again and let the next person take their turn.